Victoria This is mauve pink Lattice cuddle fabric. 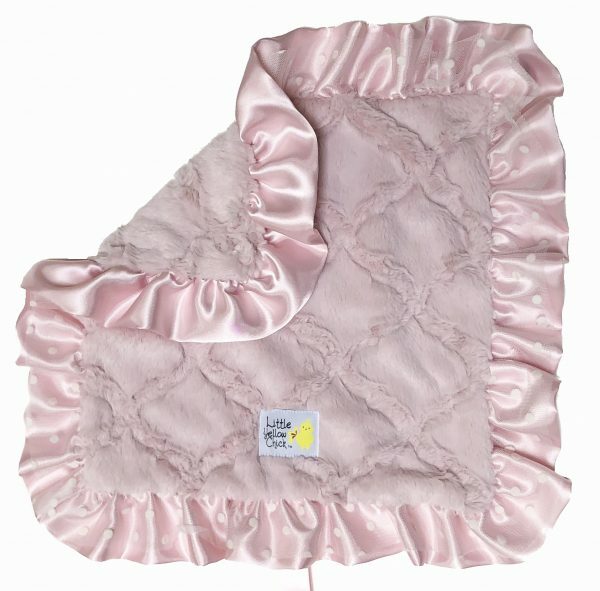 The softness of this fabric has been used on both sides with a double ruffle of matching satin & soft cream tulle. A Little Loop attached at the bottom.